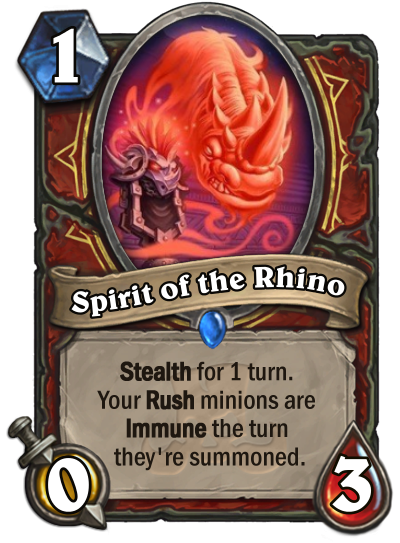 Two latest cards revealed in Rastakhan's Rumble include Mojomaster Zihi and Spirit of the Rhino. Korean streamer Ddahyoni revealed this neutral Legendary minion and it sets each player's Mana Crystals to 5. The card was unveiled by UDN and gives you Stealth for one turn. Your Rush minions are Immune the turn they're summoned. 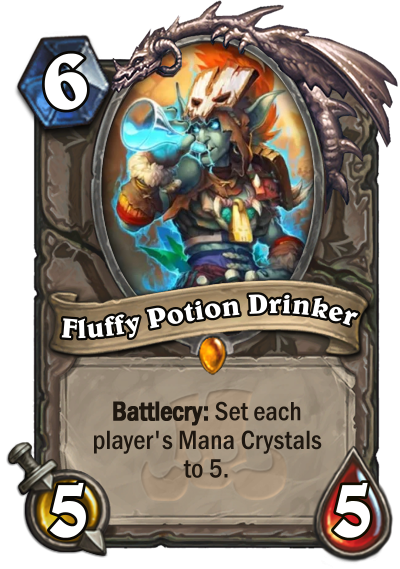 im thinking fluffy potion drinker counter to wild growth nourish 😃 or maybe even play in heal lock/even paladin/even shaman to not get into the big swing turns. Its warrior, not warlock. And it seems really strong, with the likes of Darius Crowley. Recent expansions have a card with the word 'Fluffy' in it, which then later removed. It is like a placeholder. Card itself though, is not very bright. uhm what ? im talking about the neutral , not the rhino. The potion drinker might find a place as a tech card to royally screw up combos. is it Mojomaster Zihi or fluffy potion drinker ? either way good to counter druid ramp but i dont it will see play! It’s Mojomaster Zihi. Anything with ‘fluffy’ in the title is a placeholder used by hearthpwn when the reveal was done in a language other than English and the official translation is not yet known. Rhino is very strong yeah, maybe it can push a new rush warrior build. Zihi I’m less convinced by. It’s an interesting one but I struggle to see it working in anything but a very combo-oriented meta. People seem to think it will be auto-include in aggro, but (a) that means you’re not playing an odd deck, which rules out quite a few of the main aggro decks, and (b) it’s terrible in an aggro v aggro matchup. And combo decks generally beat aggro decks by stalling and surviving rather than pulling off the combo anyway. Could see it in midrange I guess. Pretty sure the description is (worded) wrong of Spirit of the Rhino. The minion gets stealth, not you (the hero). Where does it say the hero gets stealth? Wording, the stealth part at least, is the same for all spirits, and they make perfect sense. Edit: I'm dumb, you mean the Stan's wording. Yeah, you are right. Yeah I think that's a decent tech card. It'll make druids cry if you can play it on turn 6 (costing you 1 mana crystal) and erasing all the ramp they've gotten to that point. It'll also do good to stop the late druid and priest combos. I gave more thought about this Fluffy guy. 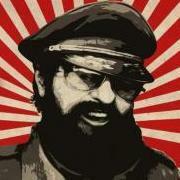 And I think it is very, very good, especially in a combo oriented meta. You play this around Turn 8 or 9, there are several things you can postpone; Shudderwock, Ultimate Infestation, Hadronox, Malygos Frost Lich Jaina, Bloodreaver Gul'dan, The Lich King, Zerek's Cloning Gallery and etc. So, this might be very good for aggro decks to stop your control opponent from getting their DK's, big taunts and stuff. Can be used by control decks to stop their combo opponent to kill them in one turn. Kinda like a Loatheb-ish effect, and we know how good he was in aggro and midrange decks. This card is good. I'll go ahead and claim this; its a very safe craft for Day 1, and it will see play very commonly.